The Paris Feast: The Berry Love : No-bake dessert for this Valentine's Day. 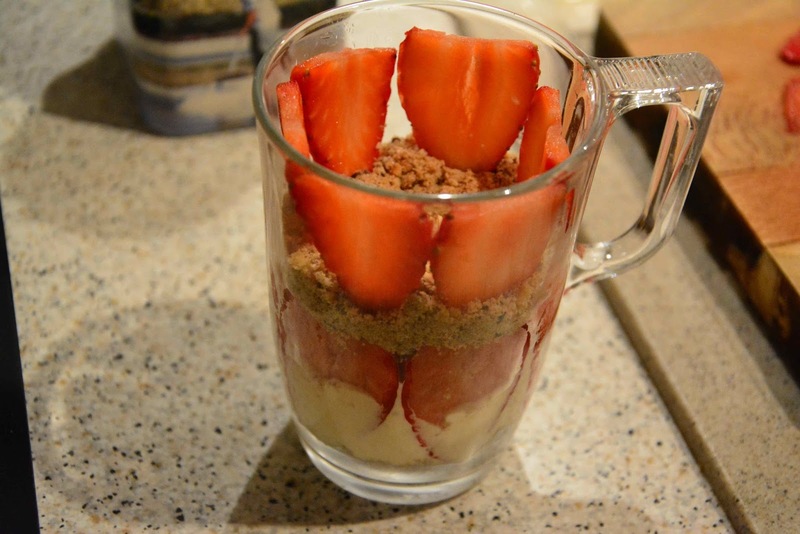 The Berry Love : No-bake dessert for this Valentine's Day. Valentine’s Day for me hardly means much when I can love, make love and be loved throughout the year. 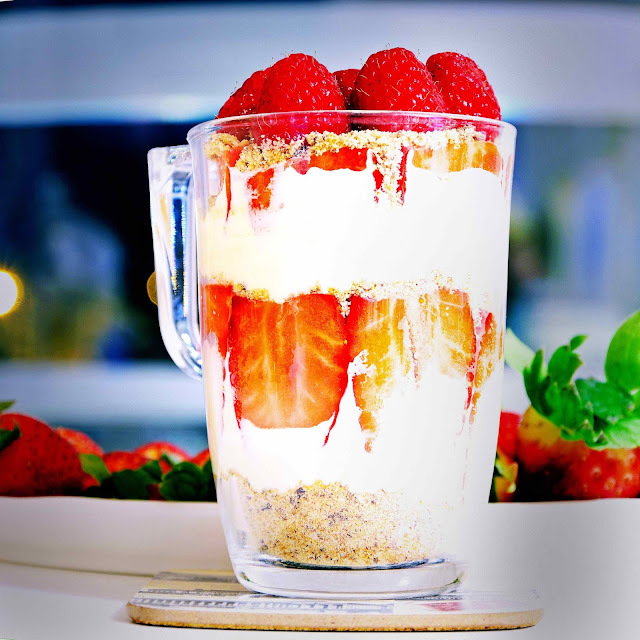 But it surely is an occasion for making lovely beautiful looking dishes and overlook the calories, more like the religious festivals which even today present occasions to party even though we may not be at all religious. So this Valentine’s Day, I thought of making a no-bake dessert with the ingredients which in present times symbolize love. 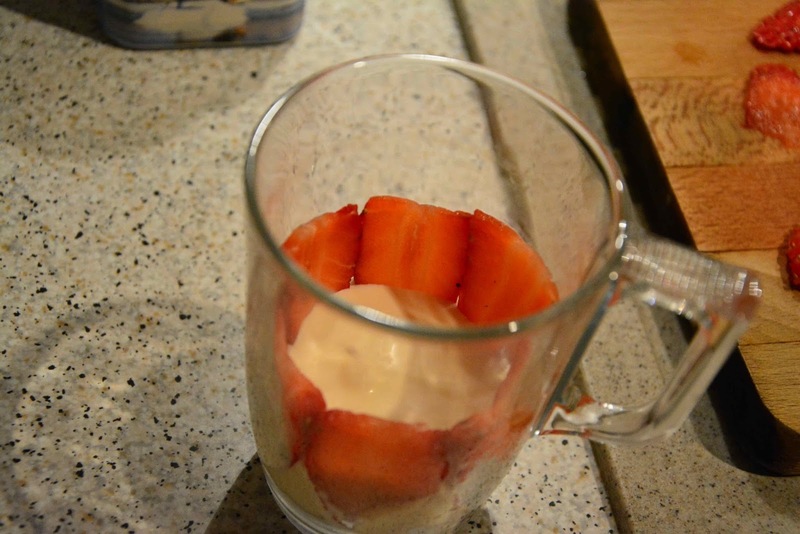 To start with strawberries, which some claim to be aphrodisiac (I personally do not believe in such claims as for me it hardly changes my aphrodisiac level, it surely affects my appetite though). 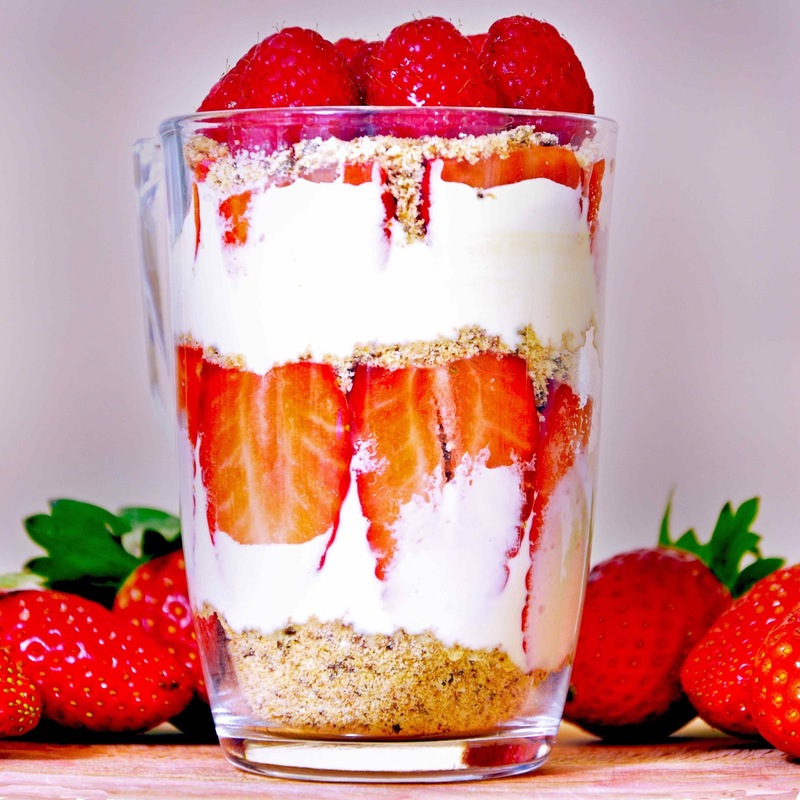 However the dark pink color of the berries teamed with fresh cream and honey can result in a pure love potion out of a medieval wizard’s lair. 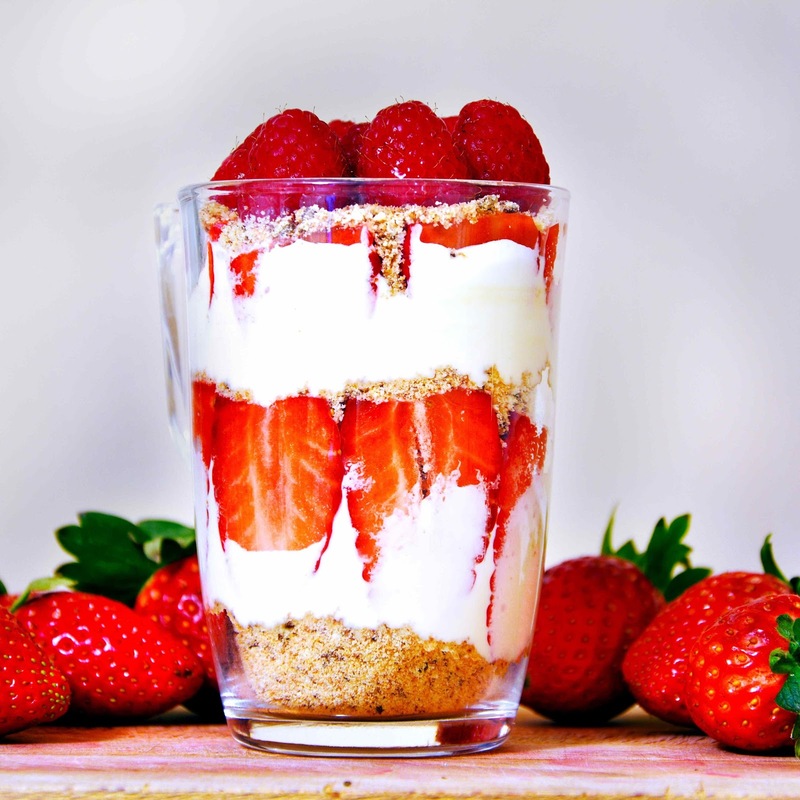 No bake desserts are simple to make, without the hassles of baking which increases the risks of failure, and surely one does not wish to take risks when trying to woo ones partner. So this dessert can be fixed up rather quickly and served to the partner just before getting cozily close on this Valentine’s Day, or for that matter any other day of the year when one wishes to concoct a love potion and let love take over. P.S. The ingredients are for 2 persons but is prepared in one cup for the lovers to share. Place the cream in a bowl, add the honey to it and whip it nicely with the help of a fork. The consistency should be like this. 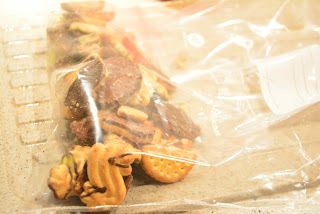 Take the cookies in a zip-lock bag. 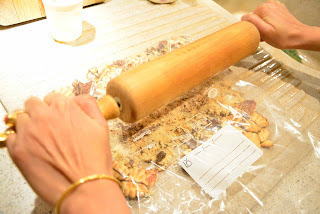 Crush them with the help of a rolling pin. 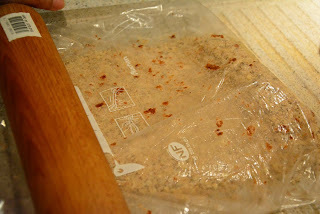 The cookies should be smashed in fine powdery crumbs. Discard the white ends of the strawberries. 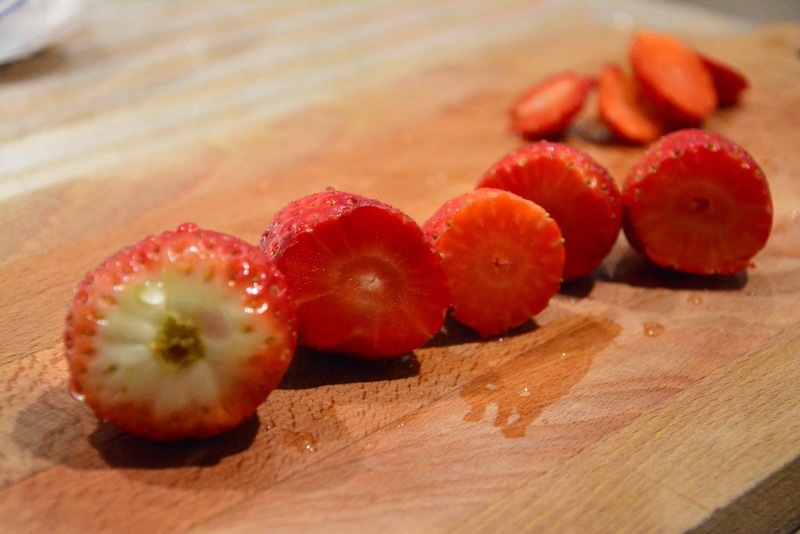 Then cut the strawberries into longitudinal thin slices which will give them a heart shape. 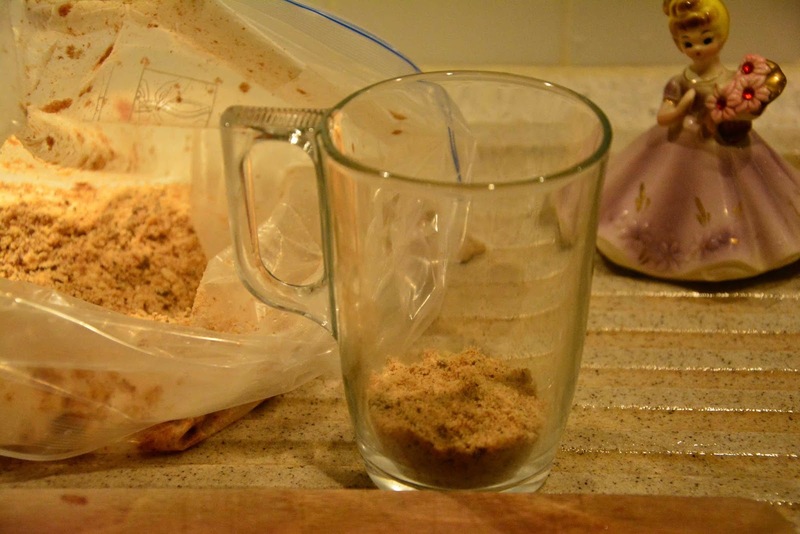 Take a transparent long cup and place 3 teaspoon of the cookie crumbs. 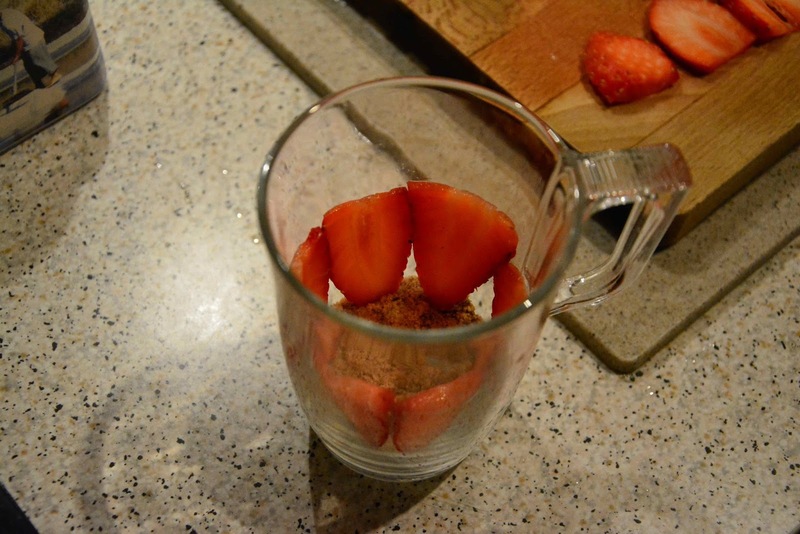 Then place the strawberries in the form of a ring as shown below. 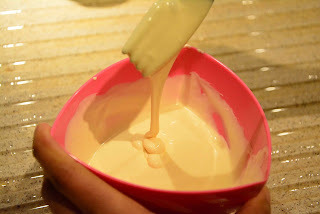 Add about 5 teaspoons of the fresh cream-honey mixture. 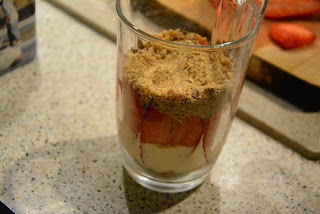 Then place the cookie crumbs till they just cover the height of the strawberries. Place another row of strawberries. 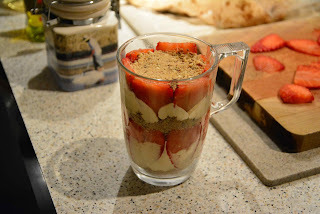 Repeat the two above steps of adding cream-honey mixture and covering the strawberries with cookie crumbs. 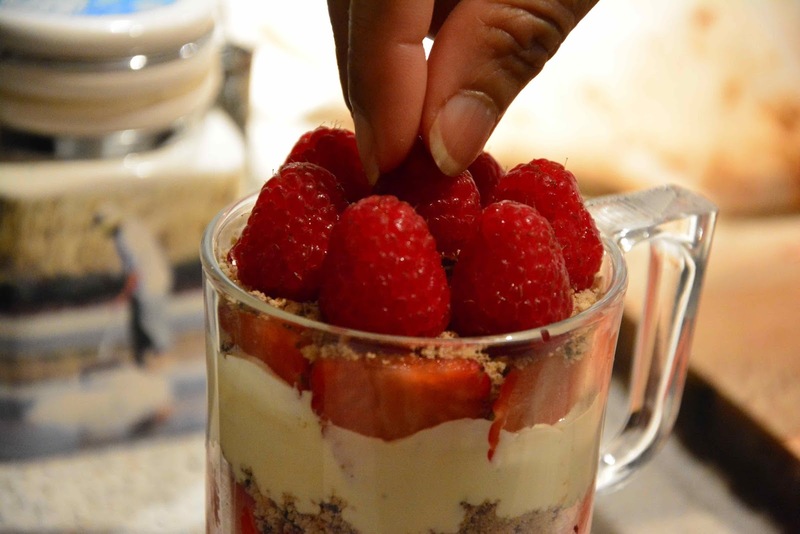 Place the raspberries on the top. Chill it in the refrigerator for an hour. Sprinkle a bit of honey on top of the raspberries and serve. The love potion is ready, one is enough for two to dig in, to love and make love. 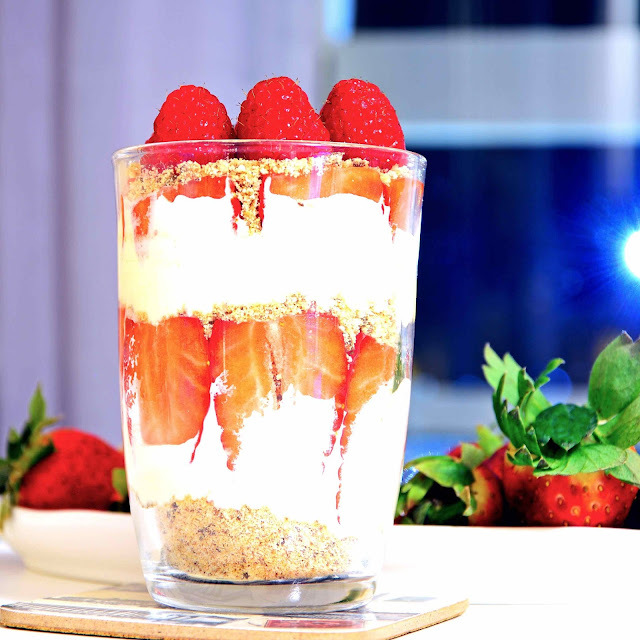 A no-bake strawberry, raspberry, fresh cream and honey based layered dessert for Valentine's Day or for any other love filled day to woo the lovers. Take the cookies in a zip-lock bag. Crush them with the help of a rolling pin. Discard the white ends of the strawberries. Then cut the strawberries into longitudinal thin slices which will give them a heart shape. 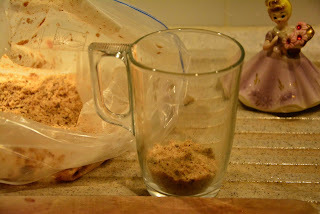 Take a transparent long cup and place 3 teaspoon of the cookie crumbs. 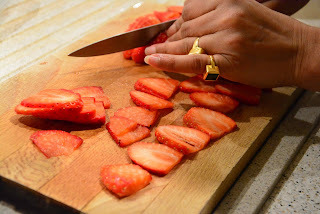 Then place the strawberries in the form of a ring. 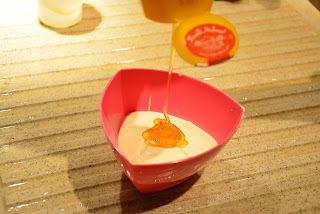 Add about 5 teaspoons of the fresh cream-honey mixture. Then place the cookie crumbs till they just cover the height of the strawberries. Place another row of strawberries and repeat the above step.